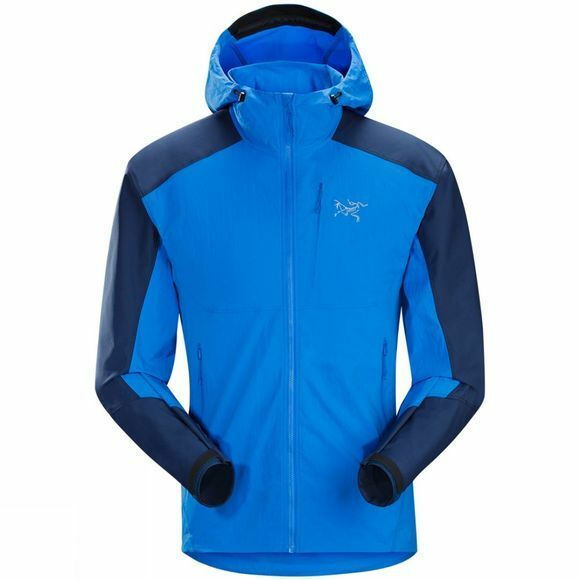 The Mens Psiphon FL Hoody from Arcteryx is a versatile softshell hooded jacket designed for alpinists and rock climbers looking for a jacket that can keep up with them. Made from a hybrid of durable and wind-resistant fabrics, it is designed to last the distance and help you do the same. With a helmet-compatible StormHood and HemLock hem cord adjustment, it can be worn with your helmet and harness and still offer a secure comfortable fit.